Mutt Williams: What's he gonna do now? Marion Ravenwood: I don't think he plans that far ahead. Indiana Jones: [pops out from the inside of the truck with a bazooka] Scooch over, will you, Son? Mutt Williams: Don't call me "son." Don't. 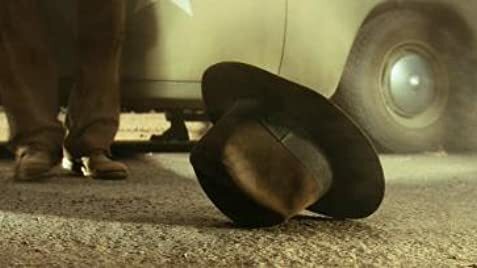 Indiana Jones: [ignoring Mutt's complaint] I think I'd cover my ears if I were you. Courtesy of NBC Studios, Inc.
Q: How many times did Indy use his whip? Q: It looks like there are some digital alterations in the US version teaser; is that true? Q: Is 'Crystal Skull' based on a book? Why all the hate? Is it because we've grown up? This is still a fun movie! Reading all the comments here, it looks like this is one of the worst films ever made, and it's absolute rubbish, Shia's character is Jar Jar Binks, etc. But it's earning a ton of money, and the rankings (7.6) are high, so what does that tell you? That compared to the haters, MOST people came to his movie expecting a fun adventure movie and got it. Look, the Indiana Jones movies aren't flawless. Even in the previous movies, you had to suspend belief (people melting? someone surviving a fall from a plane just on a craft? a Knight living more than 1,000 years?) and just enjoy the action scenes - and you have them here! Mutt swinging on the vines is real corny but the car chase through the jungle, complete with sword fight, fisticuffs, giant ants, etc. - they are what you can expect from an Indiana Jones movie. And Cate Blanchett is a SUPER villain, Harrison somehow makes it all believable for him to still be an action star at 60 plus, and it's great to see Marion Ravenwood again. STAR WARS I was a major major disappointment, but this one is NOT. 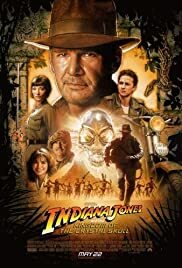 We have wanted to see Harrison Ford suit up as Indy again, and here he has a good cast with him, and yet we bash the movie because it isn't RAIDERS? Nothing can be as much fun as the first Indy Jones movie. But this one is still MUCH MUCH better than any adventure movie out there for the past several years. Just watch it with an open mind. Don't expect miracles, but fun entertainment for 2 hours and you will get it. 212 of 385 people found this review helpful. Was this review helpful to you?